En la entrada pasada, les presenté mi KIT. Ahora, en el siguiente video hecho por: Gonzalo Vazquez Avila, Joaquin Venini Zunini y yo, les mostraremos como hacer el KIT. Esta entrada fue publicada en 3AC2015, computacion el 03/09/2015 por catalinarela. Nuestra profesora de tecnología, Mariana Massigoge, nos pidió que hiciéramos un trabajo. El trabajo consistía en que hiciéramos una imagen con distintas cosas que nos representaran, enfocándonos en nuestra formación, en los ingredientes que hacen que sean como son hoy. Esta entrada fue publicada en 3AC2015, computacion el 10/07/2015 por catalinarela. Since this year we are taking the igcse exam, we are starting to analyse sources. Our topic for the source paper is: Who was to blame for the Cold War? 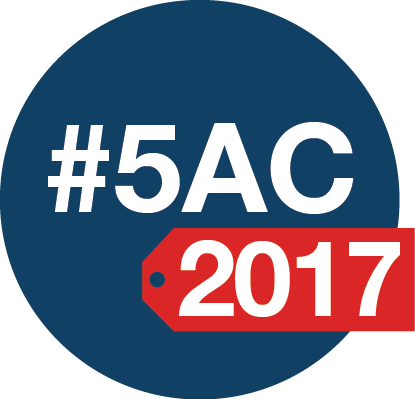 Esta entrada se publicó en 3AC2015, history y está etiquetada con cold war, marshall plan, mock, paper 2, source, sources, stalin, truman doctrine, united nations, usa en 28/06/2015 por catalinarela. In history we are studying “The Cold War”. 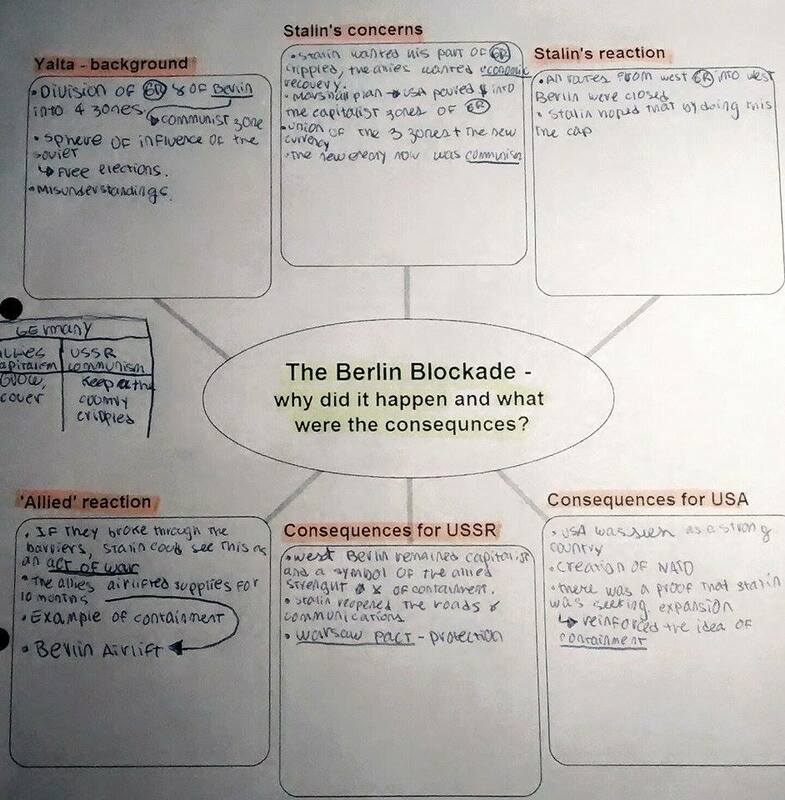 Since we are analyzing it deeply, we are now seeing “The Berlin Blockade” which was a very important event that occured in 1948. 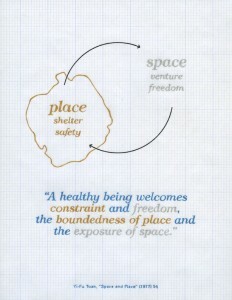 To understand this event fully and all of its causes and consequences, we had to do a task. Firstly, we had to choose a video explaining the topic. Then, Lenny picked out from our selection of videos, the best ones. Secondly, using the material in our videos we had to complete a chart and answer some questions. Thirdly, we had to publish in our blogs the completed task. Here is mine! What was life like in Berlin in the post-war era? Berlin was divided into two. The west part was capitalist and was divided into three zones: The French zone, the British zone and the American zone. The east part was communist and was under Soviet control. Berlin was devastated, it had suffered a lot and its people were also going through very harsh times. 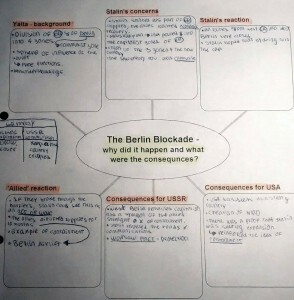 How did Soviet policy towards Berlin differ from that of the West? The west part was capitalist and they wanted Berlin to grow and recover. In the other side, the communist part wanted to keep the country crippled. Why was reform of the German currency a key issue for both sides? Because it was symbol of union, the west side wanted to show their power and alliance. Also as a (major) plus, it was easier to trade and it gave an assured economic stability. Why was the airlift such a major feat? The airlift showed this union the allies wanted to demonstrate. It showed power, they wouldn’t be doomed by the soviets. The capitalists found the way to go over communism. 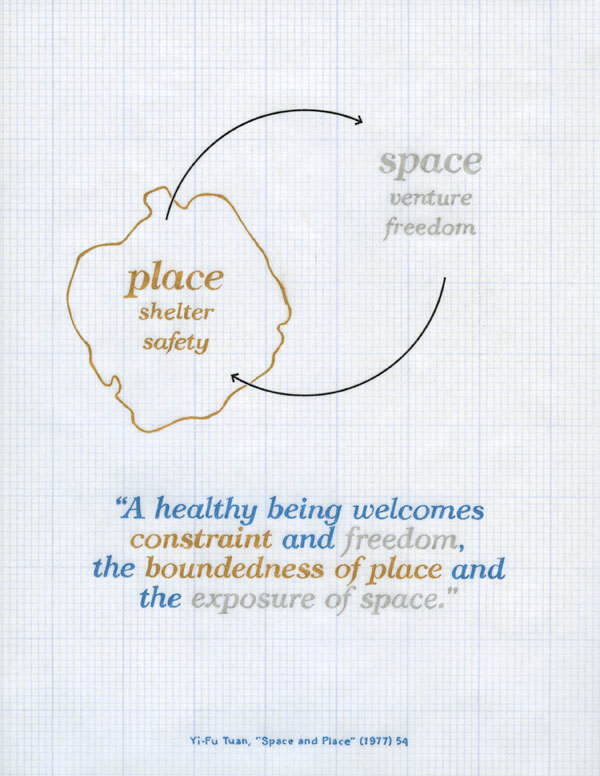 Thanks to the airlift, the west part was improving whilst the east part was in decadency. The east part could see the capitalist prosperity and compared to their poverty it was really frustrating. Also, 11 months later, the Soviets retired the blockade because it wasn’t working. The capitalists were very intelligent with this strategy. In what respect can the USSR and US be responsible for further increasing tensions during the airlift? The tension during the airlift was very strong. The soviets thought it was a capitalist attack and they were prepared to shoot down the planes. Tension was the main protagonist at first but then the airlift were a daily thing so it just got common. Why did Stalin eventually agree to talks over the airlift? Stalin agreed to talk over the airlift because he saw the strength of the allies. They wouldn’t gave up so quickly as he had thought. Also, with the airlift the allies were giving even more help to Berlin that before the blockade. After 11 months of blockade, he opened communication and the airlift was over. Esta entrada se publicó en 3AC2015, history y está etiquetada con airlift, berlin, BERLIN BLOCKADE, capitalism, communism, europe, germany, soviets, usa, ussr en 19/06/2015 por catalinarela. Our biology teacher, Male Ravagnan gave us an activity. We had to look for images of different specialised cells. I worked with Agostina Alday and here is our work! CILIATED CELL: It has cillium (tiny hairs) to protect our respiratory system. ROOT HAIR CELLS: It increases the surface area for absorption. XYLEM VESSELS: It has a thick cell wall to support the plant. PALISADE MESOPHYLL CELL: It’s full of chloroplasts because it has a major role in photosynthesis. NERVE CELLS: The Axon of the nerve cell is used to transmit the information in the form of electrical impulses. 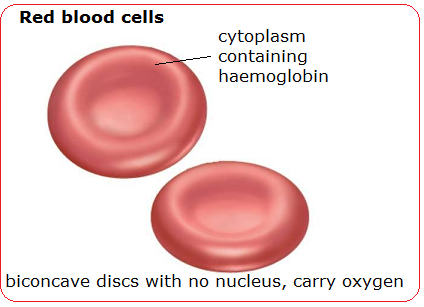 RED BLOOD CELLS: The cells have no nucleus, leaving more space for haemoglobin, and they are very flexible (they can be forced through even the narrowest of blood vessels). SPERM CELLS: It has a long tale called Flagellum which allows the cell to move to swim to the female reproduction system. It’s neck is full of mitochondria to give energy so that the flagellum can move. 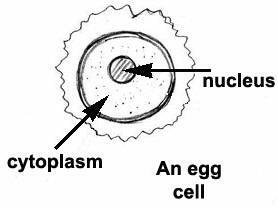 EGG CELLS: It has a light jelly layer outside the membrane to protect the cell. Esta entrada fue publicada en 3AC2015, biology el 08/04/2015 por catalinarela. En la clase de lengua leimos la historia “El Sur” de Jorge L. Borges, nuestra profesora nos dio opciones para hacer un trabajo sobre ello. En base a ello con mi equipo (Pancho Mosquera, Bauti Olaizola y Nicolas Monguzzi) decidimos hacer un glogster. Esta entrada se publicó en 3AC2015, lengua y está etiquetada con borges, el sur, glogster en 25/03/2015 por catalinarela. Since this year we are sitting for the History IGCSE examination, we had been practicing how to analyze sources and relate them to different topics. This time, we had to scan with our cellphones some QR codes our teacher Lenny Ambrosini gave us. Depending on the codes, we had different sources (images). Some of them related to the depression in the USA, others related to Nazi Germany, and what my code had was a source related on the positive aspects of the 20s boom. I looked for other partners that had the same topic and started working. We had to analyze the sources all together (my group was: Catalina Grosso, Delfina Miy Uranga, Gonzalo Vazquez Avila, Nicolas Monguzzi and Delfina Santayana) and then put the images we had in a collage. Here is the work, I hope you enjoy it! This is a primary source because it is a real photo that was taken in the 1920s. In this image you can see some workers eating and resting on scaffolding. This is a very interesting picture because it shows how many people were working on this kind of risky jobs, it can be deadly to be working on such high places without protection, this people probably used to be unemployed before. This picture is very characteristic of the 1920’s because this decade was a huge boom of house construction, and skyscrapers started appearing. This is a primary source, it seems to be a painting of a woman smoking which before the boom it was seem as a good habit. It show class and it made women look like men. They wanted to look like men so they could have the same rights. 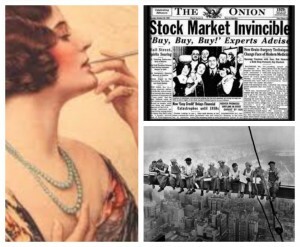 This is a picture of the cover of a real 1920’s newspaper (primary source), here you can read titles that show prosperity, people encourage others to keep buying shares because as the title says, the stock market is going great, the people in the picture seem to be happy and well off. As we know, in the 1920’s people were enjoying life and getting easy money at the stock market, and even the government encouraged them to do so. Esta entrada se publicó en 3AC2015, history y está etiquetada con boom, changes in women, IGCSE, stock market, usa1920s en 11/03/2015 por catalinarela.